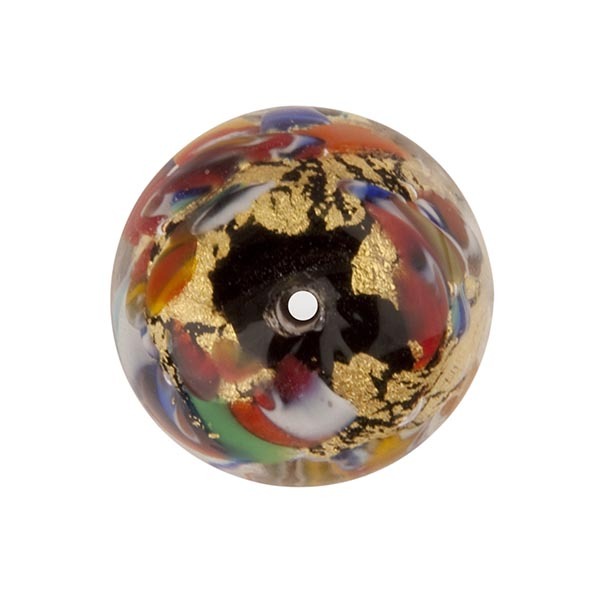 Our fabulous Klimt Millefiore mosaico beads in a 18mm to work with all our other styles of Klimt beads. 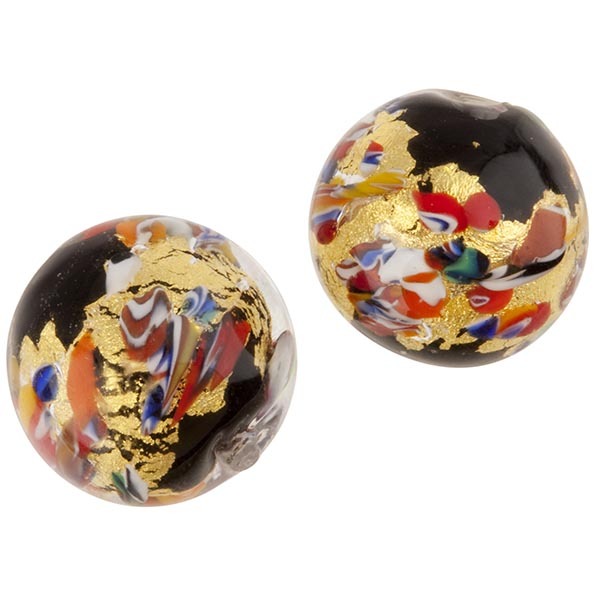 The size is approximately 18mm round with a 1mm hole though it varies as they are handmade. The placement and exact mosaics vary from bead to bead. The base is black with 24kt gold foil over the black and with the black peeking through in places. 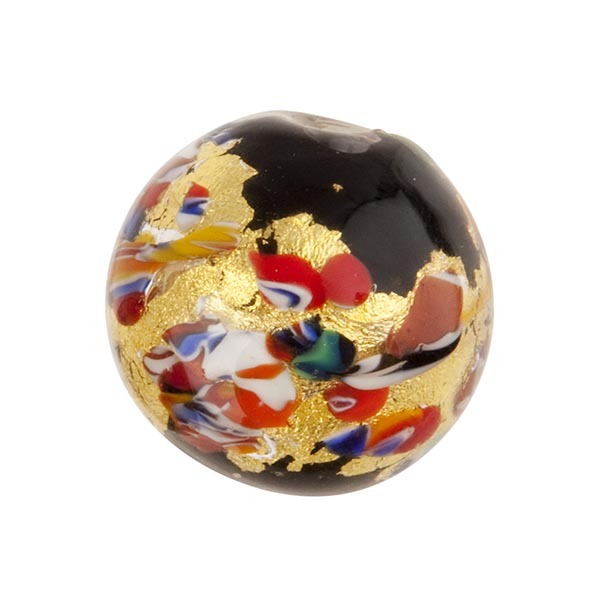 The fragments of mosaics are placed over the gold foil and completely encased in clear Murano Glass.